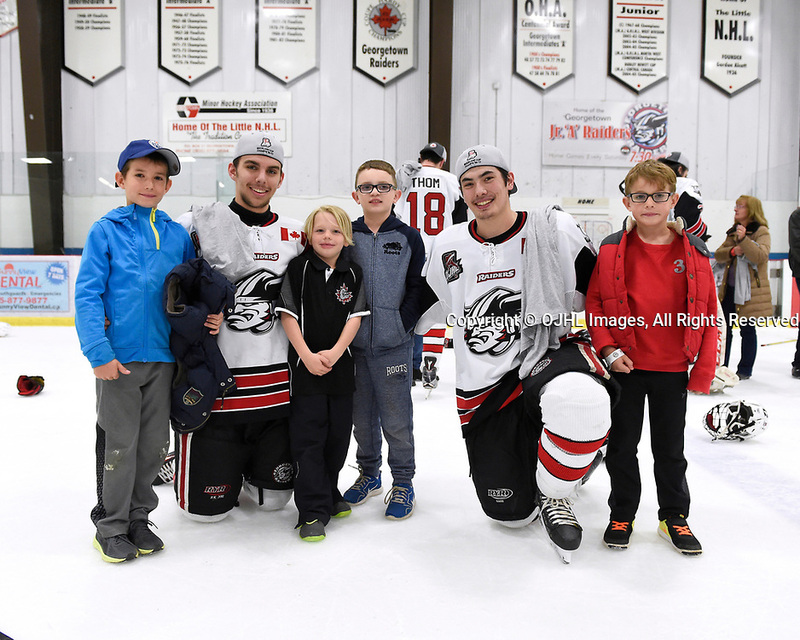 GEORGETOWN, ON - APR 26, 2017: Ontario Junior Hockey League, Championship Series. Georgetown Raiders vs the Trenton Golden Hawks in Game 7 of the Buckland Cup Final. Josh Dickinson #28 and Austin Cho #20 with future Georgetown Raiders teammates.